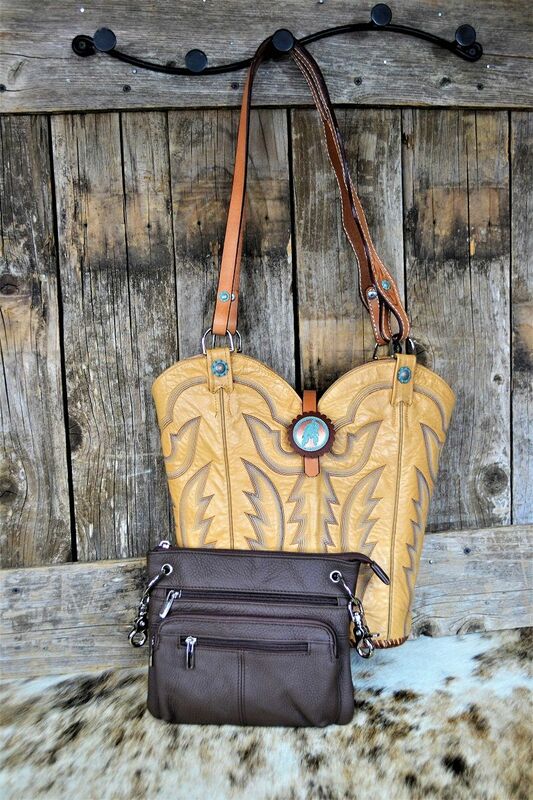 144-19 This is the perfect western hand bag to go out on the town or downtown to work! 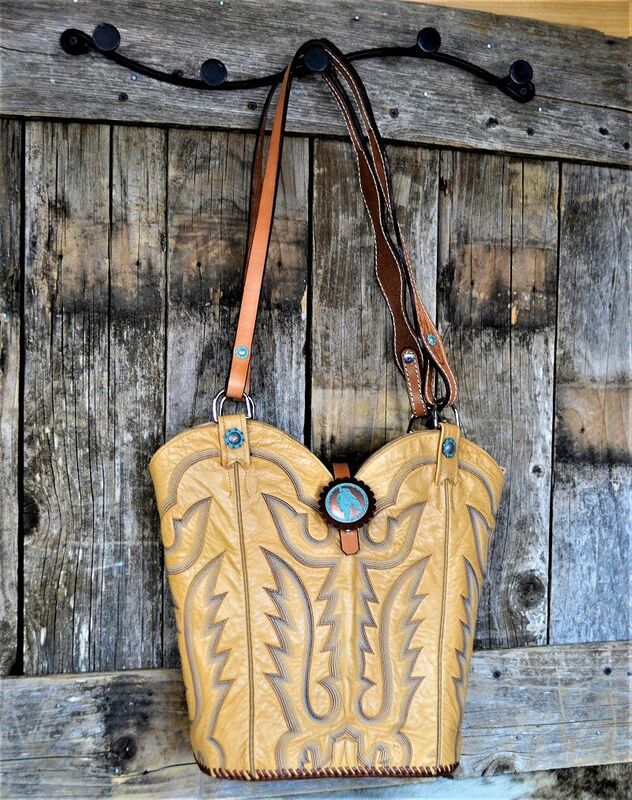 Stunning blue and cream stictch pattern. 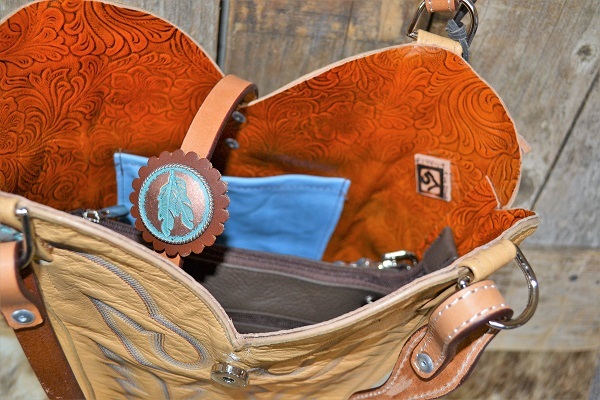 The handles are made of leather, tooled and scalloped horse reins for durablility and comfort. 29" handles. 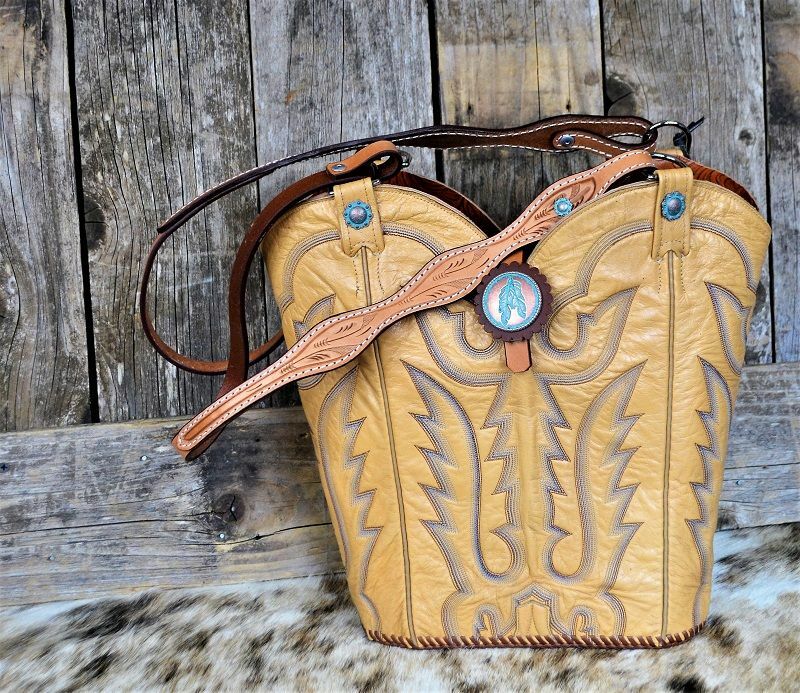 Front has a copper feather western concho with turquoise patina on a strong magnetic snap closure. 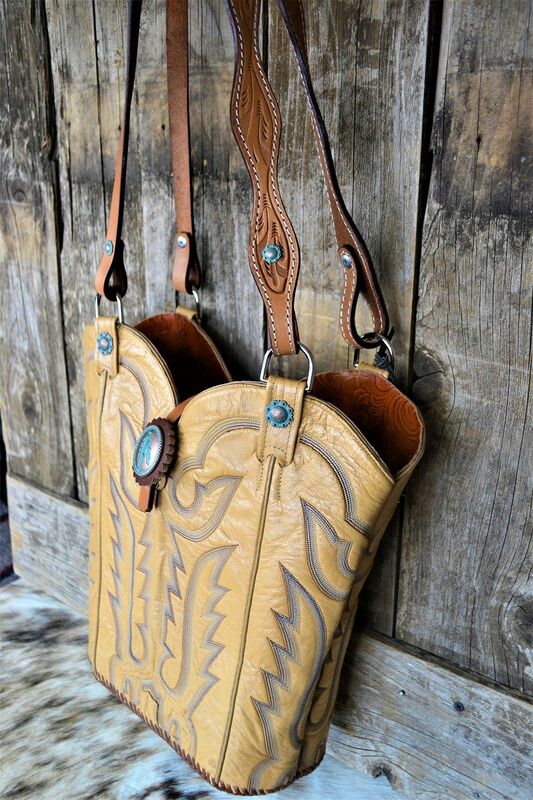 Inside is lined with leather and has 2 pockets. 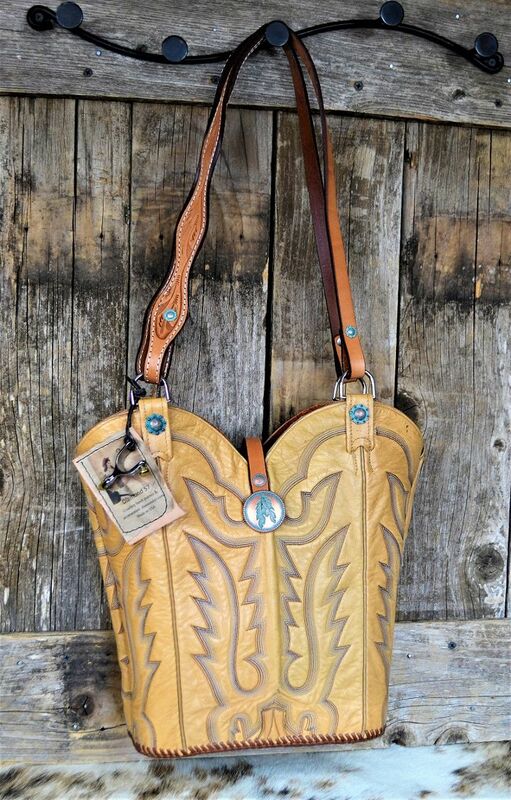 Sturdy, hand laced leather bottom allows the purse to "sit" upright. 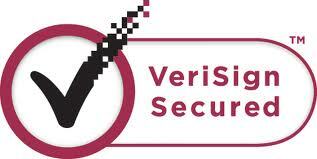 Consider adding the zippered pouch for added security. 12" high, 14" wide. 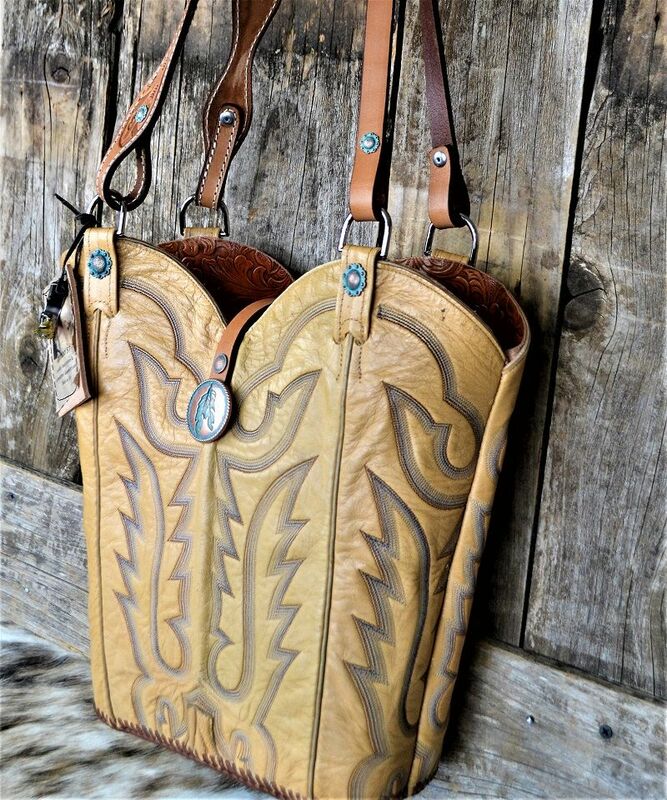 1 pair of vintage cowboy boots, pair of horse reins for handles, 2 square feet of rich brown leather lining, 10 western conchos, 212 hand stitches and 10 hours of passion to create something unique and useful from something worn and tired. 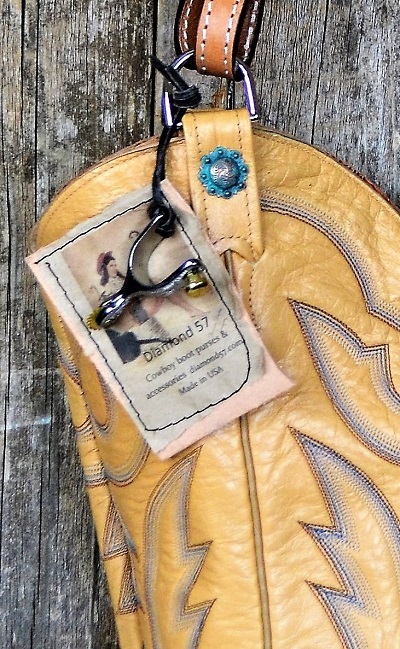 Leather Zippered pouch available separtatly Keeps all your cowgirl gear safe!